Describe yourself in five sentences: I love to laugh. I value my friends. I like to give people the benefit of the doubt, probably even when I shouldn’t. The older I get, the less tolerant I am of people who are mean or rude. I hate to exercise. 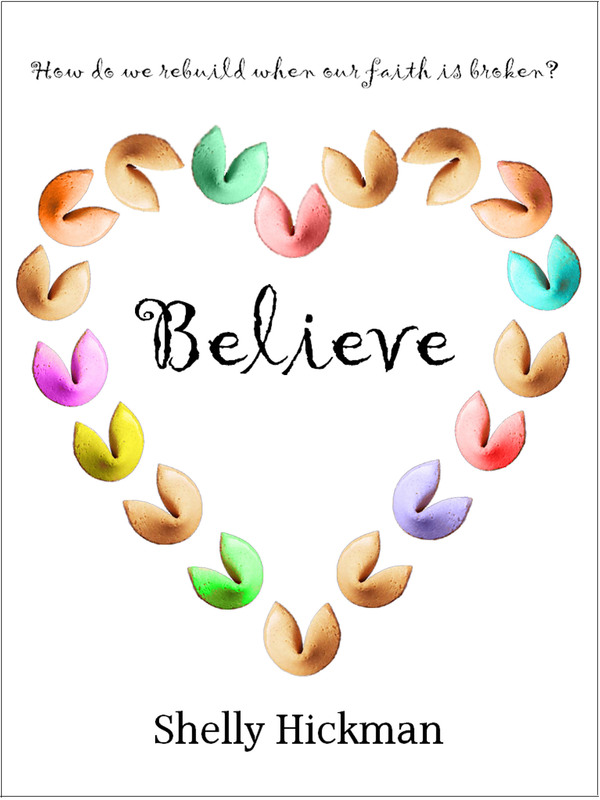 Tell us about your book, “Believe” and “Somewhere Between Black and White”: “Believe” was my first book. I started writing it after my daughter’s first bout with cancer. At the time I was very into the power of thought and positive attitude and all that, because my daughter had overcome this life-threatening disease. The tone of “Believe” reflected that mindset at first, though the story was unfinished. Then my daughter relapsed and ultimately lost her battle. I was confused, hurt, angry, and lost. I went back to the story to work through all that. It was my expression of all the questions and frustrations I had. The story is not meant to provide answers to any of those questions, because I’m not sure we’ll ever have them. Instead it’s meant to convey a message of renewal, and reassurance that happiness can be found again after enduring such a loss. Throughout the story, I tried to include little hints that explained the book’s ending, this idea that maybe prayers are always answered, but at times in ways we don’t see. However, reading reviews, I realize it may have been too understated for some. It’s difficult to find that perfect balance of getting your message across without beating your reader over the head with it. “Somewhere Between Black and White” is a little bit harder to explain. Basically, I wanted to take a look at our tendencies to judge others for their choices. The story is a romance, but it’s not meant to be the main gist. It’s more of a backdrop for looking at the character, Sophie, and how she assesses others. She meets Sam, who becomes her grounding point because he’s so collected and non-judgmental. She constantly struggles with her urge to look at things as black or white, instead of acknowledging there are often many shades in between. It’s kind of a mesh of romance, humor, family drama, and even some bits about Buddhism thrown in. See why it’s hard to summarize? What is your favorite word? Hmm, I’ve never really thought about a favorite word. I guess it would have to be Starbucks. Are your characters based off anyone you know? The minor characters usually are, but not the main characters. Rachel in “Believe” is loosely based on me, just because of her struggle with faith, but she is way more outspoken and blunt than I’ll ever be. Which other authors would you like to meet? Unfortunately, two of them are gone: Erma Bombeck and Nora Ephron. I would also like to meet Richard Bach. How did you celebrate when your first book was published? I don’t remember. I’m not sure I did. All I remember was when I told my husband someone was going to publish my book, he said I needed to make enough money to buy him a monster truck. Yeah… that hasn’t happened. Hard/paperback or eBooks? eBooks, of course! Where is your favorite place to write? Once or twice I sat in a Borders (before they went out of business) and wrote. That would be my ideal place, in a bookstore sipping on some coffee, but it never happens. What is the best advice you’ve been given? This advice wasn’t given to me by anyone specifically, but it’s one that we always hear, and that’s to live for today. None of us know what our future holds, so why spend time stressing about it? And we can’t change our past; we can only learn from it. Be here now. It’s not an easy thing to do, but great advice. When writing, what is your favorite thing to snack on? Dark chocolate M&Ms! Can you tell us about any upcoming projects? I’m not working on anything at the moment, but have a few ideas floating around. You know how on sitcoms we always see the fairly average Joe with the hot wife? (According to Jim, Everybody Loves Raymond, Modern Family). I’ve often wondered why we never see the opposite. How come we never see the average Jane with a hot guy? I thought it might be fun to write something based on that idea. Still mulling it over. Maybe this summer’s project. **Additional comments: I want to thank you, Isabella, for hosting me on your blog. I appreciate your kindness and positive attitude you’ve shared with me throughout my communications with you. This has been a great experience.